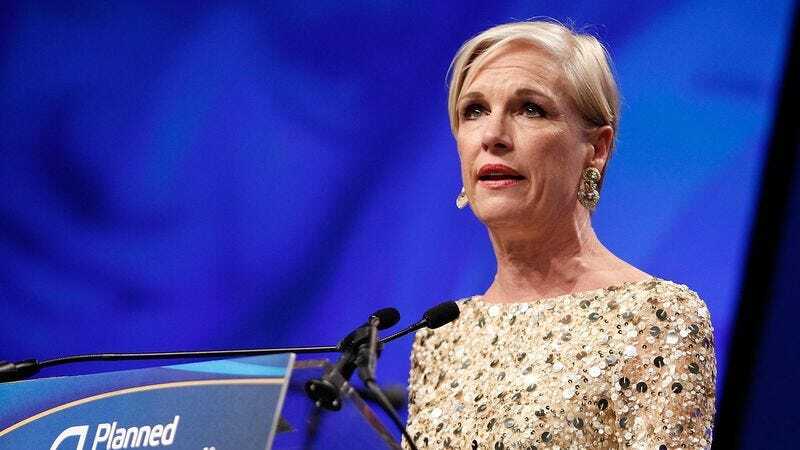 WASHINGTON—Following the announcement by Texas state officials to cut Medicaid funding for the nonprofit organization, Planned Parenthood president Cecile Richards assured supporters Tuesday that it has plenty of fetus cash to keep going for a while. “While the decision by Texas to eliminate taxpayer funding for Planned Parenthood is unfortunate, I want everyone to know that we have an ample supply of sweet baby-organ cabbage to continue providing our services,” said Richards, adding that the reproductive and maternal health organization had enough fetal-tissue scratch to keep the doors open for the foreseeable future. “Lawmakers remain determined to deny reproductive health care to women in need, and if not for our golden baby-parts goose, they well may have succeeded. But rest assured that with our mad stacks of aborted-fetus bucks, the future of Planned Parenthood is as secure as ever.” Richards added that even as she was speaking, Planned Parenthood employees were busy squeezing some extra green out of whatever embryos they had left in the back.